What’s up this week? Here’s what’s up this week. 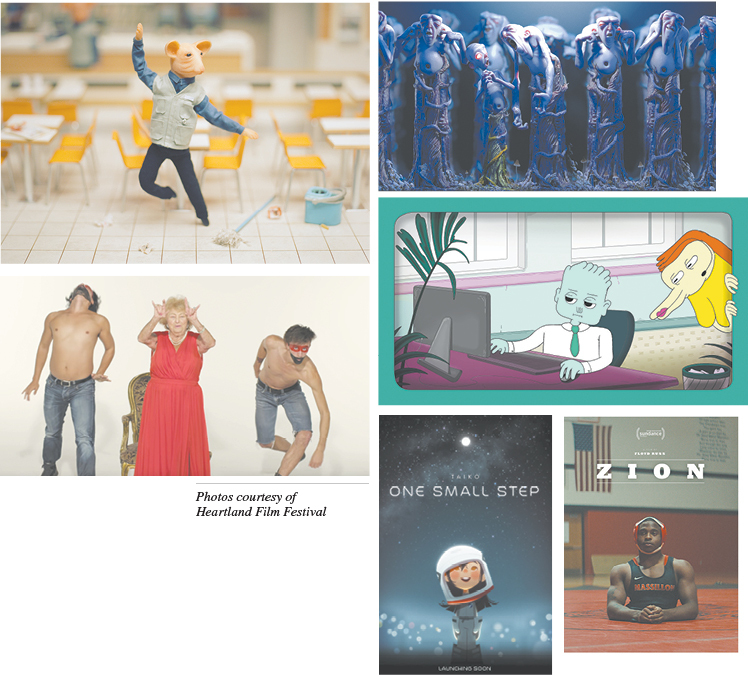 I watched a pile of the shorts selected for this first annual fest and wrote about some choice ones for IBJ. A few animated options particularly won me over. You can find that story here. Broadway frequently gets Hollywood stars attempting to earn more acting respect by taking on theatrical roles. And there are a handful of talented folks–Denzel Washington and Nathan Lane among them–who comfortable jump back and forth between stage and screen. And once in a while there’s a Broadway stalwart who becomes a household name thanks to TV and film work. But when was the last time Broadway really produced a crossover star? (Okay, besides Lin-Manuel Miranda, who gets his cinematic shot with the new Mary Poppins film.) Personally, I’m still waiting for a great cinematic role for the amazing Audra McDonald. The little-seen film version of “Hello Again” just didn’t cut it. So what does this have to do with Laura Benanti? Well, after a string of practically universally praised theater productions stretching from 2002’s “Into the Woods” revival through “Nine,” “Gypsy,” “She Loves Me,” and more, she’s on the brink of something. A batch of appearances as Melania Trump certainly plays up her playful side a recurring role on “Supergirl” certainly helps geek cred. But where’s the big movie role? Where’s the spotlight TV shot? Of course, just saying that can be interpreted as devaluing theater. Maybe Hollywood shouldn’t be the standard by which success is judged. Okay then, I’ll back peddle and just let you know that Laura Benanti will be bringing back her talent and charm to the Cabaret for a weekend of shows. And here’s hoping there’s another Broadway hit on the horizon. Speaking of singers, you can catch the next generation of Great American Songbook-crooning vocal talent at this annual culmination of a week of workshops and master classes. While all 40 participants make it to the stage, the top 10 get to show their stuff with solo turns. I’ll be scribbling down my votes from my seat in the audience and, invariably, will be in total disagreement with the judges. I’m not going to engage here in the ongoing discussion of whether actors without disabilities should be taking on the roles of characters with disabilities (in this case, though, perhaps the fact that the lead character is on screen both before and after his car accident makes the casting decision more understandable). What I am going to engage in here is praise of the lovely supporting performance by Jonah Hill. In the past, he’s come across to me as an overpraised novelty–an actor who has proven okay in limited roles but distracting when requirements were greater. Thanks to this performance, I’m now actually looking forward to his work in the upcoming “The Ballad of Richard Jewell.” As for the film, it concerns John Callahan, a real-life cartoonist who, until his accident, didn’t so much battle an alcohol problem as wear it like a badge. Hill plays his AA sponsor in a performance both unique and truthful. This time, he’ll actually deserve the Oscar nomination–and possible win–that he’ll receive. (I just wish as much care had been given to Rooney Mara’s character.) For another perspective, give a read to my friend Richard Propes’ take here. As for me, I’ll be teaching both non-fiction writing and play writing this weekend in Muncie in the good company of Maurice Broaddus, Holly Miller, Barbara Shoup, Larry D. Sweazy and more. If you read this before Friday, there’s still time to register. Details here.